This weekend (31 July) marks the end of the Right to Buy in Scotland. Read the reactions to the end of this landmark policy from around the sector. The Scottish Federation of Housing Associations (SFHA) and Association of Local Authority Chief Housing Officers (ALACHO) have welcomed the end of the Right to Buy policy in Scotland and said its demise came “not a moment too soon”. “We are delighted that all forms of the Right to Buy policy in Scotland have now come to an end and this hasn’t come a moment too soon. Right to Buy has had its day and has no place in modern Scotland. “Although particular individuals have benefitted from the right to buy and at significant discounts, the sales have been at a loss to the greater public good. Half a million social rented homes have been lost over the three decades of this policy in Scotland, and very often the better stock in the more popular areas. 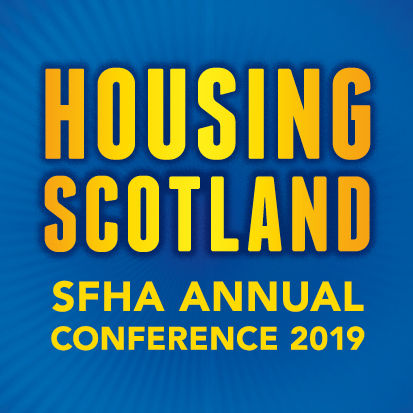 “The SFHA and its members have campaigned for the abolition of this right for years, and we appreciate the Scottish Parliament’s recognition in 2013 of the arguments which we put forward. “By ending the Right to Buy, we will be able to preserve much needed social housing stock for rents affordable to people on low incomes. “Ending the Right to Buy will allow social landlords to plan longer term, manage assets and income more effectively and most importantly to return the sector to growth for the first time since 1981. “It is good news that Right to Buy has finally had its day in Scotland. It has no place in Scotland’s housing system today. “Now that right-to-buy is consigned to history - and with a waiting list of 150,000 for a council house – what Scotland desperately needs now is a step change in the delivery of affordable housing. We need to build at least 12,000 new affordable homes a year to meaningfully tackle Scotland’s housing crisis. We also need a new national homelessness strategy to get to grips with the root causes of homelessness.